Omega was entering the 25th year of being the official Olympic timekeeper and needed to make a statement for the 2012 London games. Their large presence at the Westfield Shopping Centre by the Olympic Park provided the ideal venue to showcase the brand and it’s commitment to the games. 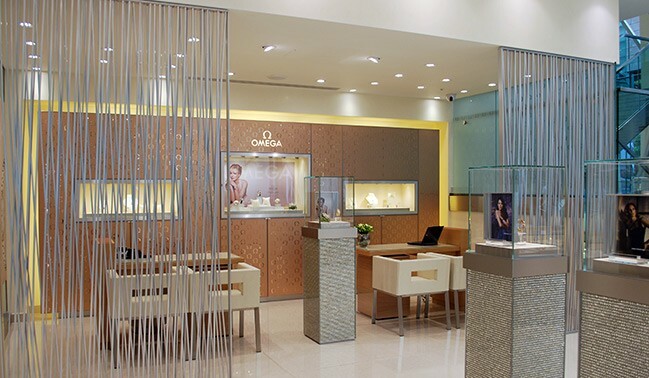 For such an important project, Omega teamed up with long-time partners Hendry Electrical. 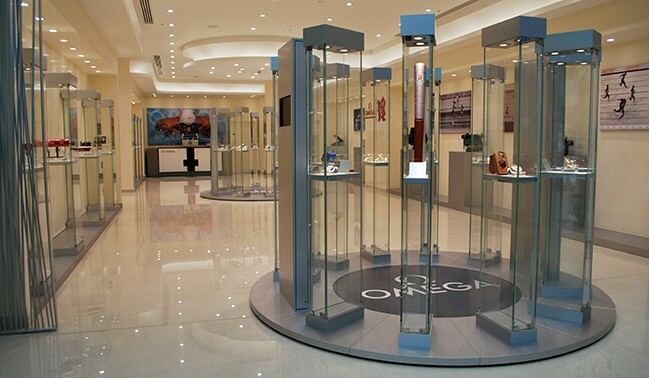 We have been working with Omega for five years, fitting out their UK and Ireland boutiques as well as their flagship Regent Street store. Hendry Electrical was tasked with designing the whole electrical package — power, data, fire alarm and all key lighting for the Westfield store. Getting consistent light and economical power consumption across this vast space, encompassing ground floor and large mezzanine, was key to the success of the project. 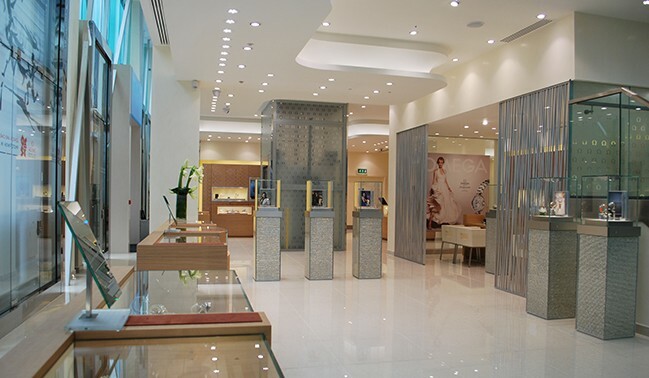 With recessed ceiling lights illuminating the main store we had to illuminate 11 bespoke, freestanding window containers, constructed from over 1.5 tonnes of steel and safety glass.